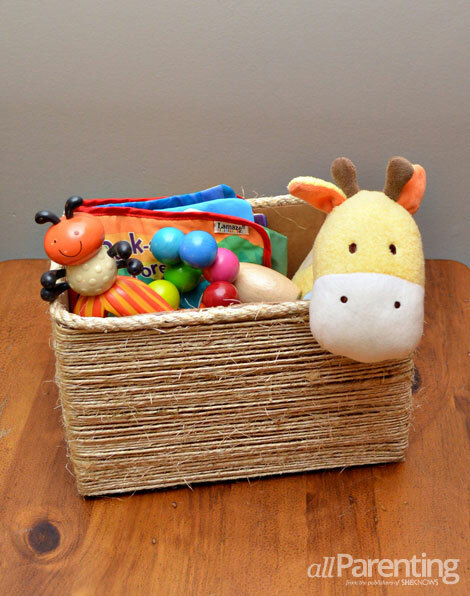 Staying organized with kids can be such a struggle, and many of us turn to ugly plastic bins to keep those toys contained. 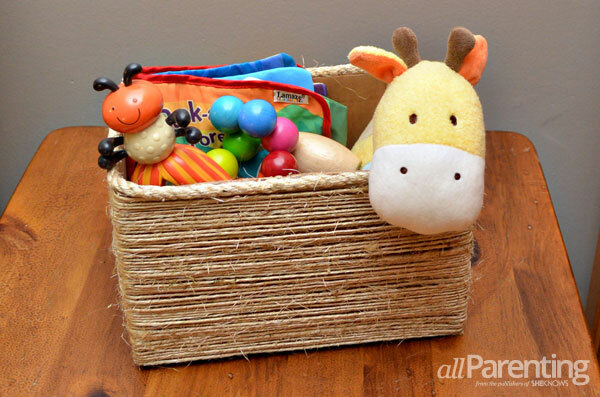 With a little creativity, you can make toy storage that is both functional and easy on the eyes. 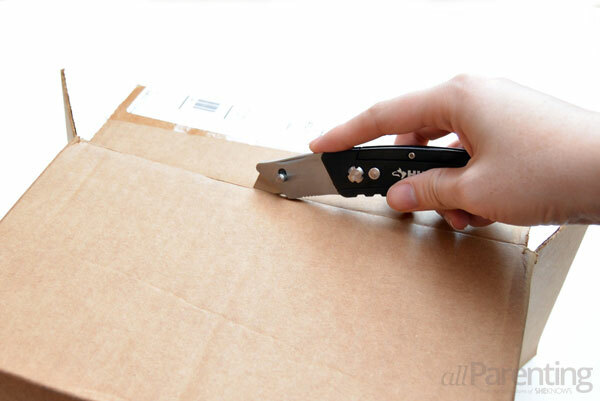 Start by carefully removing the flaps from the top of the cardboard box with the box cutter. 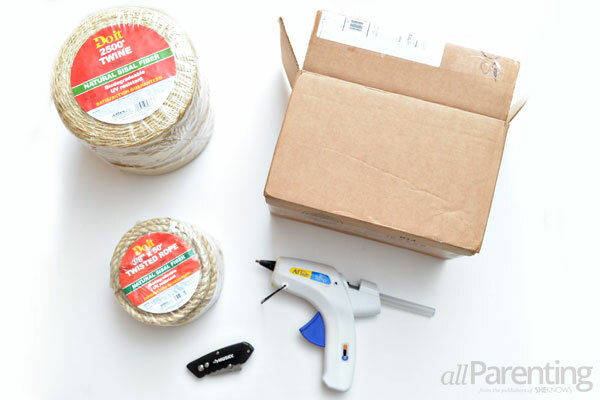 Starting at the very bottom of the box, run a line of hot glue and wrap the twine along the bottom edge of the box. 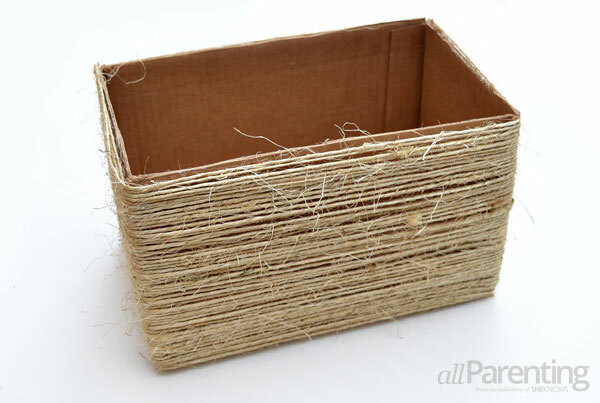 Wrap the twine around the entire box, working your way up toward the top. 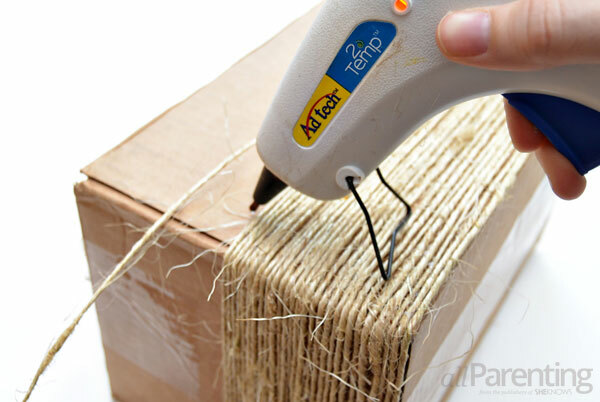 Stop every few inches to secure the twine to the box with a small dab of hot glue. 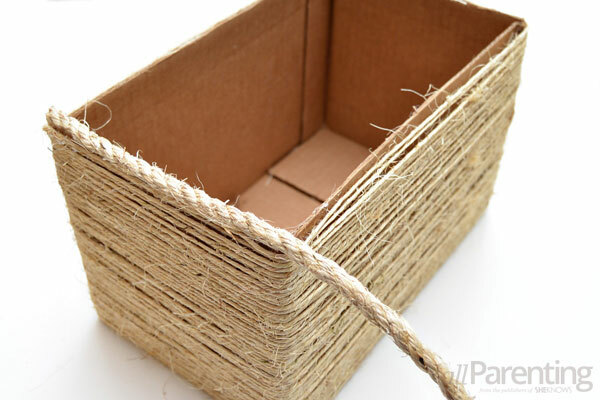 Keep wrapping the box with twine until you have reached the top of the box. 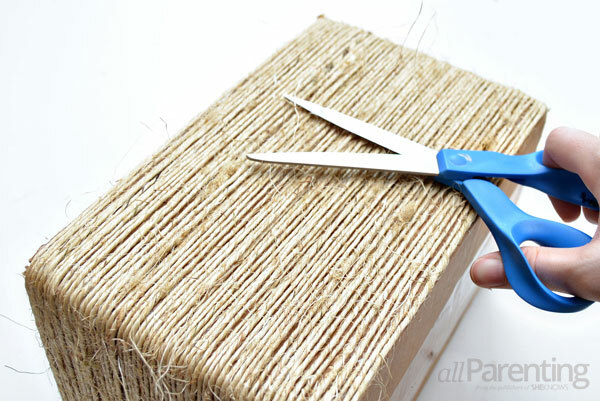 Trim away any excess twine and glue the end down with hot glue. 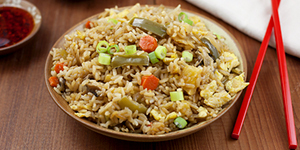 Clean up any stray fibers on the outside of the box by trimming along the edges with scissors. 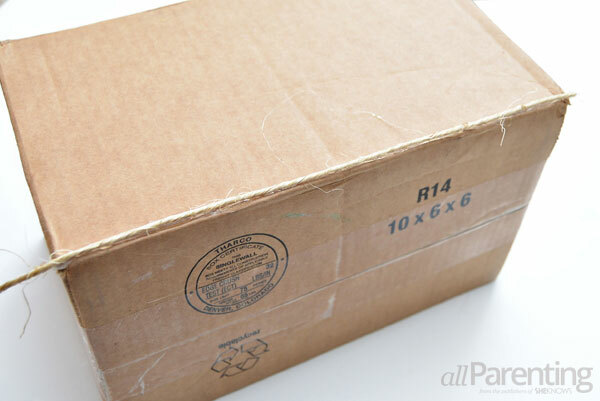 Run a line of hot glue along the top edge of the box. Glue the rope along the top rim of the box to finish off the edges. Add toys, books or anything else you need to store to the box and you have an easy and inexpensive storage solution for any room in your home!